Wonder Woman's Movie Origin Revealed? 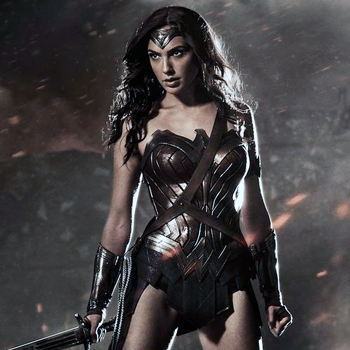 A Vine clip of Batman v Superman: Dawn of Justice producer Charles Roven discussing the film's Wonder Woman may have revealed that the film's version of the character will utilize her controversial "New 52" origin-story, rather than the classic version. Originally, Wonder Woman's origin involved her having been formed out of clay as a baby by the Amazon Queen Hippolyta and imbued with life by the Olympian Goddess Athena. That origin had held more or less constant for decades, but when DC rebooted its entire Universe three years ago, it was changed. The current "New 52" version of Wonder Woman is a demigod - the result of a sexual tryst between Hippolyta and Zeus - with the "classic" origin explained-away as a lie spread for Wonder Woman's protection. In the Vine clip, Roven describes Wonder Woman as "the daughter of Zeus." It remains unknown the size or scope of Wonder Woman (Gal Gadot's) role in the film, including whether or not the origin will be mentioned at all or saved for her hypothetical solo feature later.